Before coming to the EU Monitoring Mission (EUMM) in Georgia, I was involved in Civilian Crisis Management at the Slovak Ministry of Interior. As an Advisor on International Affairs, I was primarily responsible for the deployment of Slovak Police Officers to the EU, UN and OSCE missions, which also gave me the opportunity to pay duty visits to our contingents in these missions. In October last year, I visited the EUMM Slovak Contingent and Head of Missions Office in order to express Slovakias full support for the EUMM. The Mission enjoys an excellent reputation back home and to this date, 16 Slovak Police Officers have been deployed here. 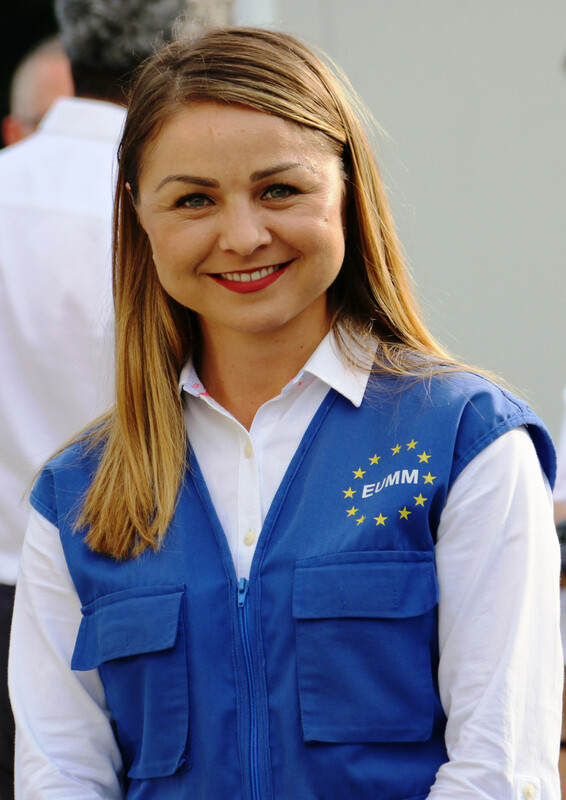 The visit to Mission Headquarters in Tbilisi and to the Field Office in Gori was my first-hand experience on what an important role the EUMM plays in the region by providing stability, reliable information and facilitating dialogue between the parties concerned. I was truly impressed and from that moment, I was very keen to make my contribution to this process. As soon as the opportunity arose, I applied for a EUMM position. I arrived in the Mission in January 2018 as a Monitor at the Administrative Boundary Line Team at Zugdidi Field Office. The most fulfilling part of this job for me so far has been the interaction with the local population. Even though they face many difficulties in their lives, especially when it comes to restrictions imposed on their freedom of movement, their courage and strength on a daily basis continue to impress me. Georgia is an amazing country with beautiful landscape, friendly and hospitable people. To be a part of the Mission, which helps them live more safely, is the most rewarding experience of all.